The best in East Anglia. The best in industrial, display and engineering plastics since 1987. Registered Office: Holmes House, 24-30 Baker Street, Weybridge, Surrey KT13 8AU, United Kingdom. 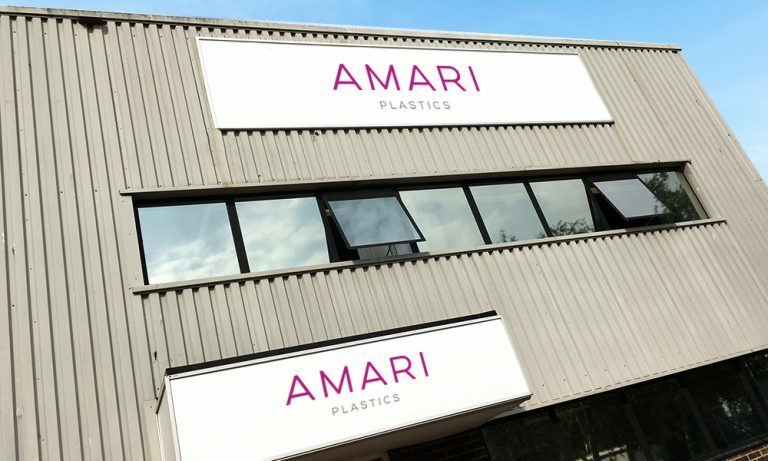 At Amari Plastics Norwich, we’ve been specialising in the distribution and processing of industrial, display and engineering plastics across East Anglia since 1987. Whether to businesses or individuals, we’re proud to have served our region with the very best products, prices and service throughout this time. And we continue to do it today. So, no matter if it’s acrylic or aluminium composite, polycarbonate or polystyrene, we have the plastics for you. From our large warehouse – currently holding over £500,000 of stock and covering all major grades – you will also find a full cutting service and a new trade counter where our range is displayed and orders can be placed and collected. Or, let us do all the work – our vehicles can deliver to any location in East Anglia. We look forward to seeing you soon. Amari Plastics brand refreshed for the future.